When patients move between different health care settings there is a risk for unintentional changes to occur with their medicines due to poor continuity of medication management. Unintentional changes include overlooking current medicines, starting medicines that are no longer taken, duplication of medicines, failure to restart medicines after surgery, transfer or discharge, and errors in recording medicines information, such as the incorrect drug or dose being prescribed. These changes can lead to significant patient harm and less effective use of medicines . Around half of all hospital medication errors occur at admission or at discharge, with around 30 per cent of these having the potential to cause harm [2,3]. The Continuity of Medication Management (CMM) program has been established to help prevent unintentional changes in patients' medicines, and the patient harm that can result from these changes, by improving medication management when patients transfer between and within health care settings. The current focus of the CMM program is medication reconciliation. Medication reconciliation is the process of ensuring that patients receive all intended medicines and that accurate, current and comprehensive medicines information follows them at all transfers of care. Formalised medication reconciliation processes have been recognised internationally as a strategy to improve patient safety and the continuity of medication management. 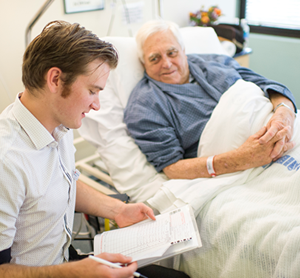 Supplying accurate medicines information to the patient and next care provider on discharge. The program also provides resources and support for local health districts (LHDs) and individual hospitals to meet the National Safety and Quality Health Service (NSQHS) Standards relating to medication reconciliation. The CMM program is a component of the CEC Medication Safety and Quality Program. The Medication Reconciliation Toolkit has been developed to support LHDs and individual hospitals with their medication reconciliation efforts. As health services will vary from having no, some or good medication reconciliation processes the resources may be adapted to suit local needs i.e. for initial implementation, to review and improve current practices or support current activity. Individual tools from within the toolkit can be accessed by clicking the relevant section of the 'Program Information' bar on the right hand side of the page. A Medication Reconciliation Implementation Workbook has been developed as a supporting document to the Medication Reconciliation Toolkit. The workbook is designed to assist LHDs and individual hospitals in the development of an action plan for improving medication reconciliation processes within their service. Australian Pharmaceutical Advisory Council Guiding principles to achieve continuity in medication management. Canberra: Commonwealth of Australia; 2005. Vira T, Colquhoun M, Etchells EE. Reconcilable differences: correcting medication errors at hospital admission and discharge. Quality Safety Health Care 2006;15:122-6. Cornish PL, Knowles SR, Marchesano R, Tam V, Shadowitz S, Juurlink DN, Etchells EE. Unintended medication discrepancies at the time of hospital admission. Arch Intern Med 2005;165:424-9. The Clinical Excellence Commission acknowledges the contribution of the Continuity of Medication Management Expert Advisory Group and the audit tool pilot sites: Blacktown, Dubbo Base, Fairfield and Orange Base Hospitals, in the development of the toolkit.